got u-tube? 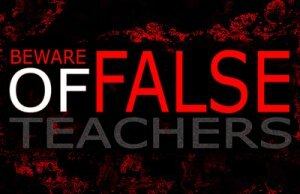 False Teachers Abound on UTUBE! Here’s Two: Dahboo7, TheJonathanKleck. You Are Rebuked and Exposed! There is a soul-devastating false doctrine that is spreading and the consequences of believing this filth is spiritually lethal. It is always time to be spiritually discerning but it has never been more necessary in volume than now. We were warned that in the last days, even the days before then, that there would be false teachers and prophets, Matthew 24:4,5 But the thing is, the intensity and increase of these deceits are exponential during the last days and we are in the last days, folks. John 17:3 He is the One and Only True God. From → Christian Growth, End Times, ENOUGH!, Religion, Seriously?, Wait...What? « The Most Difficult Surrender Possible!